As a part of the month of Conscious Consumption, I picked out some clothes that I thought would look cute from in store retailers, which you can read here. To continue my snooping for the month of January, I thought I would pick out some items that I liked from online. 1. Sequin dress: There's always that one sequin dress that would make life so much better!! I thought that this sequin dress was so pretty and the sale was so cheap too! My favorite part of this dress was the fact that it had red sequins on it because I love wearing the color red and I love sparkles, so it's perfect! I also thought that having it be a tank top dress was good because you can wear it for multiple seasons. 2. Grey Ruffled Dress: This basic grey dress is something that I would wear to school or on a casual day. It's something that would look so cute with tights, some jewelry and black boots. The ruffles on the bottom of the skirt are super cute, and something that has been seen a lot in Zara. 3. Green dress: Although the color is not really very pretty, I loved how the belt comes out of the side of the dress. It's something that adds fit to the dress and adds some detail. 4. Embroidered Dress: This dress is different... everything about it is different. The details of the flower design is super different because of how modern it is, which doesn't really go along with the image of Zara. When you think of Zara, you think of trendy and hip. There's also the fact that there's a mesh top over the black dress. I thought this was so cool because I've never really seen a mesh dress before. 5. 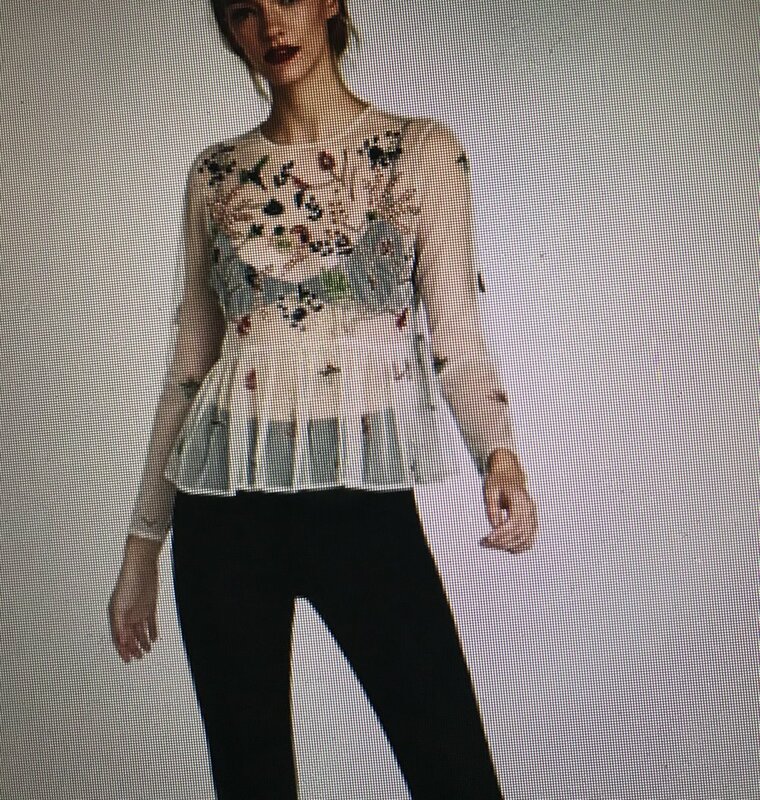 Embroidered Top: I loved how the neckline for the mesh embroidered top is different than the other ones I've seen. The mesh tops are usually some type of turtleneck. but this was more of a halter top. I also liked the embroidery trend that was predicted to be popular for 2018. 1. 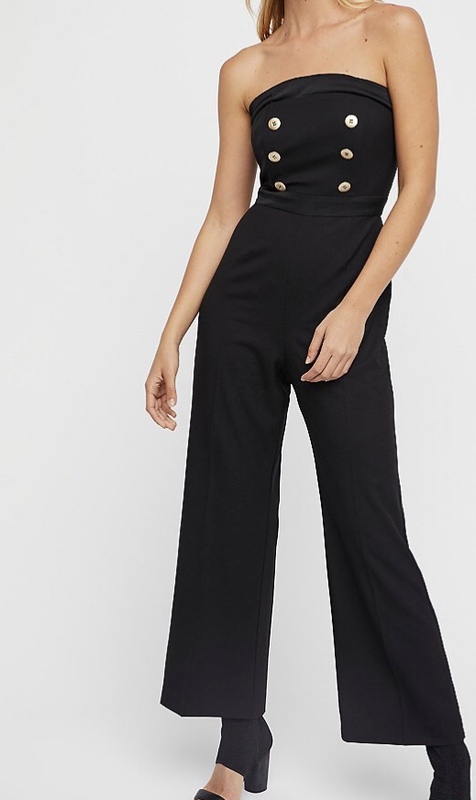 Jumpsuit: If you want to go with the more expensive version of the jumpsuit, here's one that looks exactly like the one from forever 21, only $122 more expensive! The difference between this one vs the other one from forever 21 is that instead of having the flared leg, there's a straight leg. This may be easier for someone who may not have the right shoes to go with the jumpsuit from Forever 21, since you can only really wear heels or certain booties with the flared leg, or would just rather spend money on quality vs quantity. 2. Sweater: I think that it's crazy that people would pay over one hundred dollars for a cropped sweater. As it went on sale, I warmed up to it. I love that chenille material used for sweater, it's the most comfortable material ever! It feels like there's a blanket wrapped around you. If you don't have a chenille sweater, here's a cute pick! 3. Dress: I thought that this polka dot dress was adorable and something that could be worn for many occasions. 4. Top: This turtle neck top is super wintery. I love how casual it is with the loose turtleneck and knitted material. 5. Flared Sleeve Top: This flared top is super basic, yet something that can be easily dressed up or dressed down. I can envision myself wearing this top with a pencil skirt. My favorite part of this top is the sleeve, for obvious reason. I think that making it about the sleeve, and not only the details on the shirt, is something that sets this top apart from the rest.